The post TTG 53 â€“ Interview With Joel Richardson appeared first on The Technology Geek Podcast. 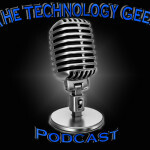 The post TTG 52 – Interview With The Band Reapers appeared first on The Technology Geek Podcast. The post TTG Unleashed – New Barbie Cloud Technology appeared first on The Technology Geek Podcast. The post TTG 51 – Interview Jessie From Grawlix Podcast appeared first on The Technology Geek Podcast. The post TTG Podcast Unleashed – Apple Watch appeared first on The Technology Geek Podcast. The post TTG 50 – Interview Randal Silvey From Grawlix Podcast appeared first on The Technology Geek Podcast. The post TTG 49 â€“ Music Royalties appeared first on The Technology Geek Podcast. The post TTG 48 – Google Cardboard appeared first on The Technology Geek Podcast. The post TTG 47 – TTG Homestead appeared first on The Technology Geek Podcast. The post TTG 46 – Bye Bye RadioShack appeared first on The Technology Geek Podcast. The post TTG 45 – Me On Grawlix Nights Podcast appeared first on The Technology Geek Podcast. The post TTG 44- FM Radio Vs Podcasting appeared first on The Technology Geek Podcast. The post TTG 43 – Interview With Robert From Ready Made Resources appeared first on The Technology Geek Podcast. The post TTG 42 – Interview Mike from Tactical Wood Gas appeared first on The Technology Geek Podcast. The post TTG 41 – Situational Awareness appeared first on The Technology Geek Podcast. The post TTG 40 – Elenco Variable Voltage Power Supply Kits appeared first on The Technology Geek Podcast. The post TTG 39 – SOL Republic HeadPhones appeared first on The Technology Geek Podcast. The post TTG 38 – Bob Heil appeared first on The Technology Geek Podcast. The post TTG 37 – Microsoft buys Minecraft appeared first on The Technology Geek Podcast. The post TTG 36 – Office 365 appeared first on The Technology Geek Podcast. The post TTG 35 – Verizon Ellipsis 7 4G LTE Tablet appeared first on The Technology Geek Podcast. The post TTG 34 – Comic Con and Field Day 2014 appeared first on The Technology Geek Podcast. The post TTG 33 – WWE Network appeared first on The Technology Geek Podcast. The post TTG 32 – Adam Carolla Podcast Lawsuit appeared first on The Technology Geek Podcast. The post Podcast Network appeared first on The Technology Geek Podcast. The post TTG 31 – The Cuckoo’s Egg appeared first on The Technology Geek Podcast. The post TTG 30 – Microsofts Cloud Strategy appeared first on The Technology Geek Podcast. The post TTG 29 – Pathfinders PFRPG appeared first on The Technology Geek Podcast. The post TTG 28 – Kanzenshuu Anime appeared first on The Technology Geek Podcast. The post TTG 27 – Car Dealers vs the Web: GM Shifts Toward Online Purchasing appeared first on The Technology Geek Podcast. The post TTG 26 – SEO Strategies appeared first on The Technology Geek Podcast. The post TTG 25 – Open-Source Python Code appeared first on The Technology Geek Podcast. The post TTG 24 – Microsoft Technet Discontinued appeared first on The Technology Geek Podcast. The post Podcast Episode 23 appeared first on The Technology Geek Podcast. The post Podcast Episode 22 appeared first on The Technology Geek Podcast. The post Podcast Episode 21 appeared first on The Technology Geek Podcast. The post Podcast Episode 20 appeared first on The Technology Geek Podcast. The post Podcast Episode 19 appeared first on The Technology Geek Podcast. The post Podcast Episode 18 appeared first on The Technology Geek Podcast. The post Podcast Episode 17 appeared first on The Technology Geek Podcast. The post Podcast Episode 16 appeared first on The Technology Geek Podcast. The post Podcast Episode 15 appeared first on The Technology Geek Podcast. The post Podcast Episode 14 appeared first on The Technology Geek Podcast. The post Podcast Episode 13 appeared first on The Technology Geek Podcast. The post Podcast Episode 12 appeared first on The Technology Geek Podcast. The post Podcast Episode 11 appeared first on The Technology Geek Podcast. The post Podcast Episode 10 appeared first on The Technology Geek Podcast. The post Podcast Episode 9 appeared first on The Technology Geek Podcast. The post Podcast Episode 8 appeared first on The Technology Geek Podcast. The post Podcast Episode 7 appeared first on The Technology Geek Podcast. The post Podcast Episode 6 appeared first on The Technology Geek Podcast. The post Podcast Episode 5 appeared first on The Technology Geek Podcast. The post Podcast Episode 4 appeared first on The Technology Geek Podcast. The post Podcast Episode 3 appeared first on The Technology Geek Podcast. The post Podcast Episode 2 appeared first on The Technology Geek Podcast. The post Podcast Episode 1 appeared first on The Technology Geek Podcast.